This DVD gives you what no book can provide: a visual walkthrough of brewing to take the mystery out of this fun and rewarding hobby. 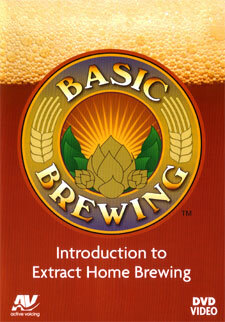 You'll learn how to brew world-class beer right in your own home. In this entertaining introduction to extract home brewing, award-winning home brewer James Spencer leads you through the process in an easy-to-understand way. 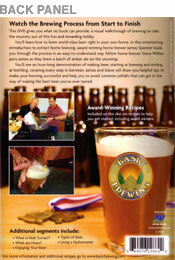 James is also the host of the popular Basic Brewing Radio podcast. Fellow home brewer Steve Wilkes joins James as they brew a batch of amber ale on the stovetop. You'll see an hour-long demonstration of making beer, starting at brewing and ending at bottling, covering every step in between. James and Steve will show you helpful tips to make your brewing successful and help you to avoid common pitfalls that can get in the way of making the best beer you've ever tasted. Included on this disc are recipes to help you get started, including award winners.